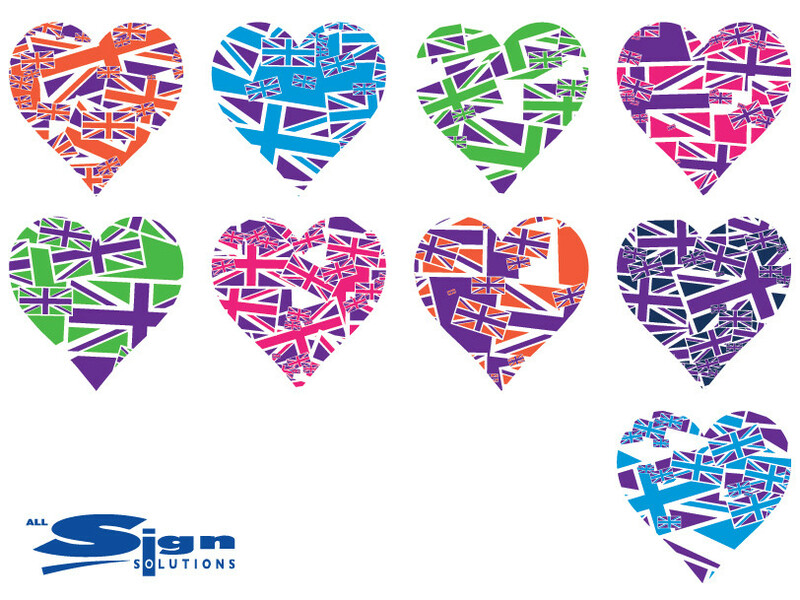 Don't see a colour combination you like? 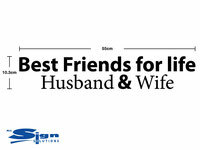 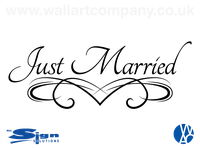 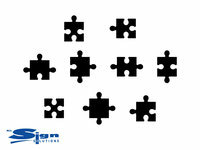 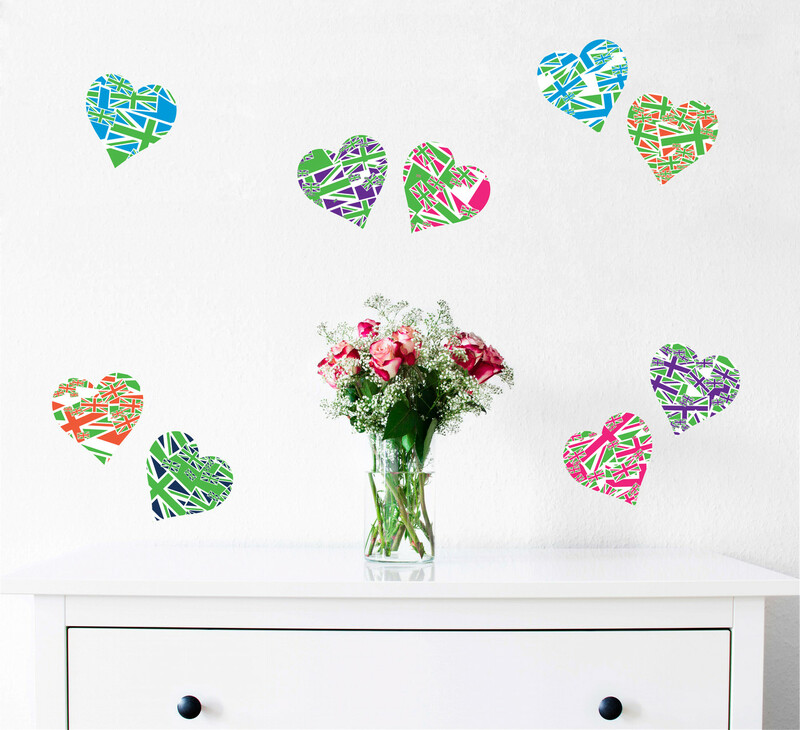 Ask us to create one for you! 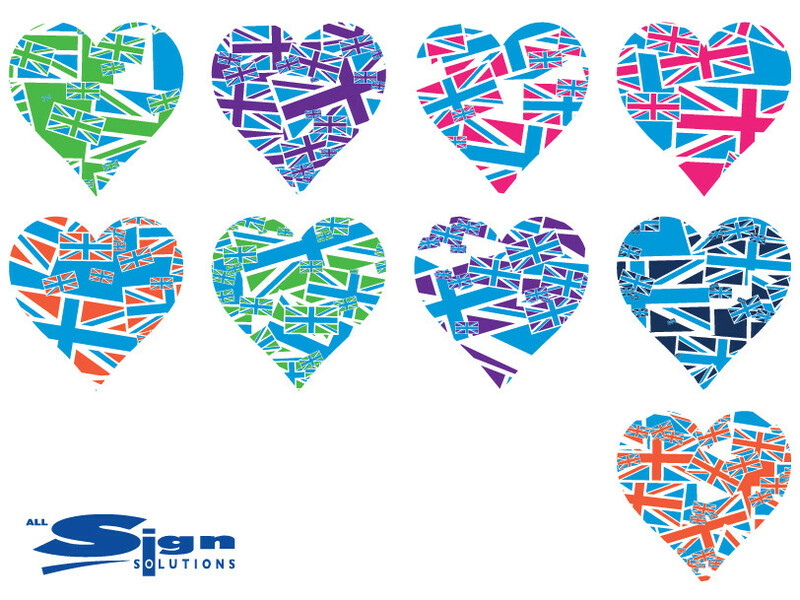 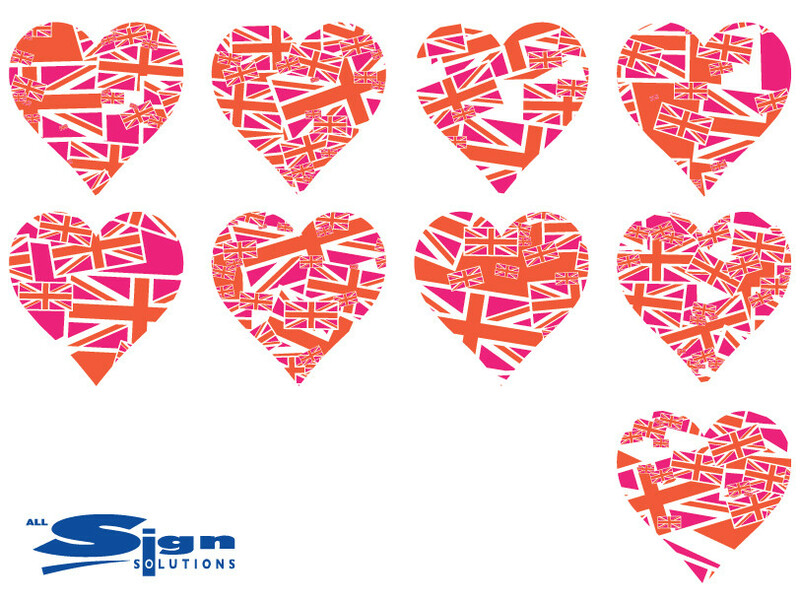 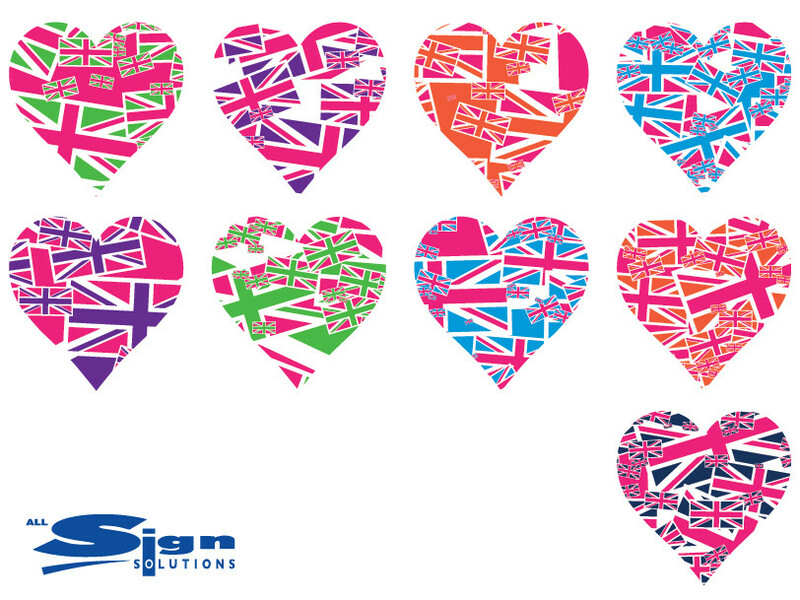 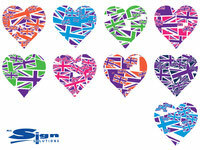 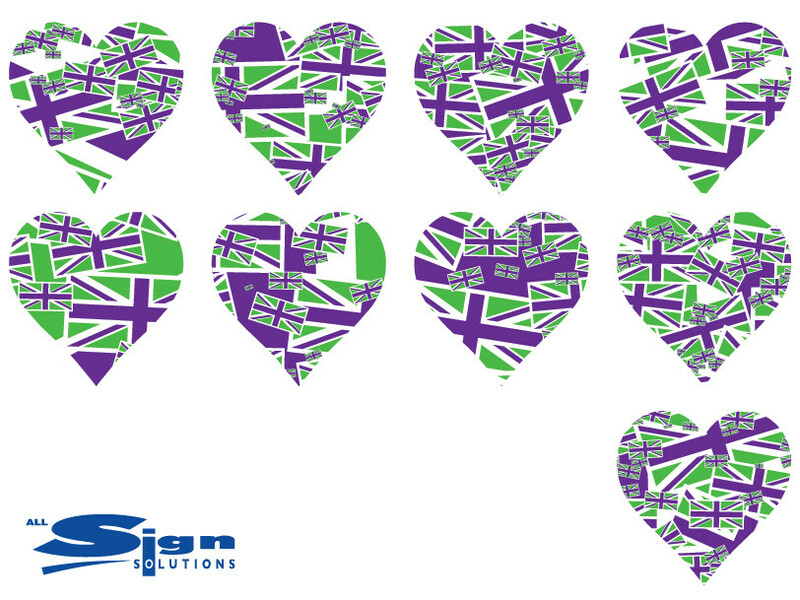 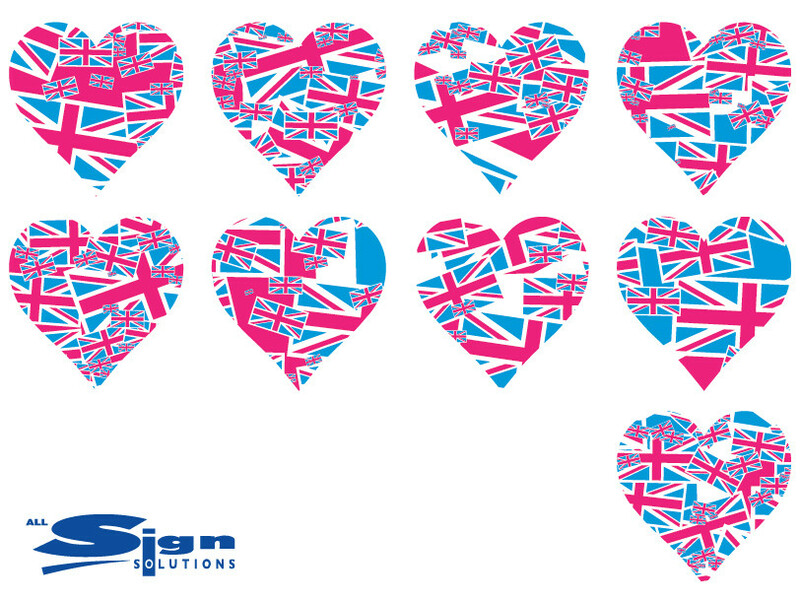 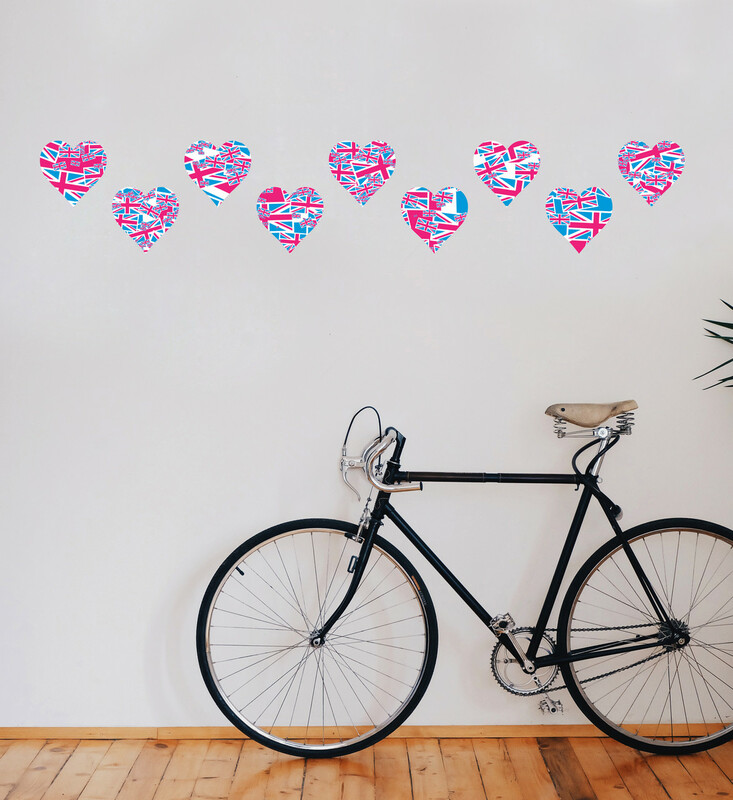 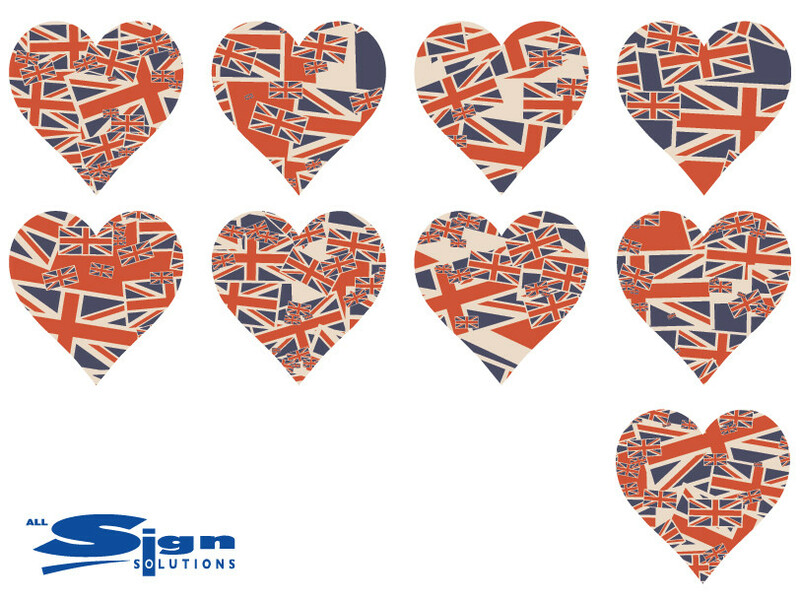 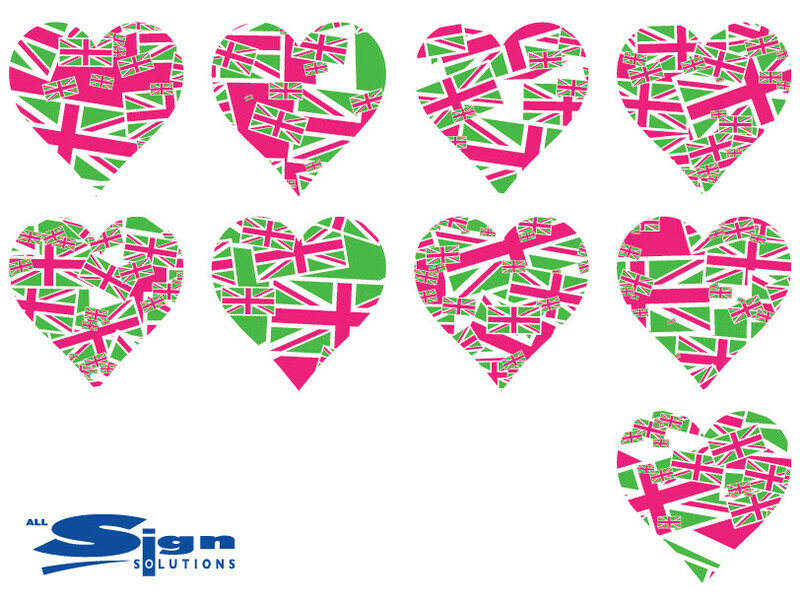 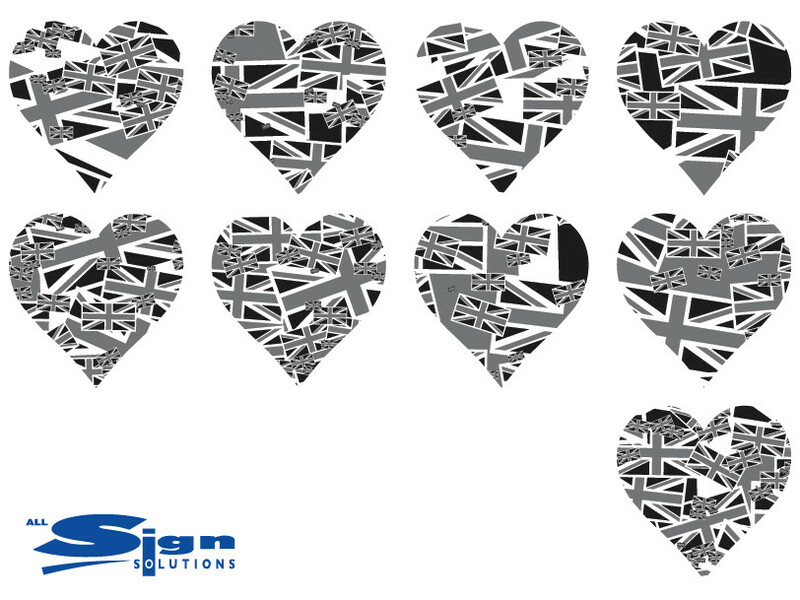 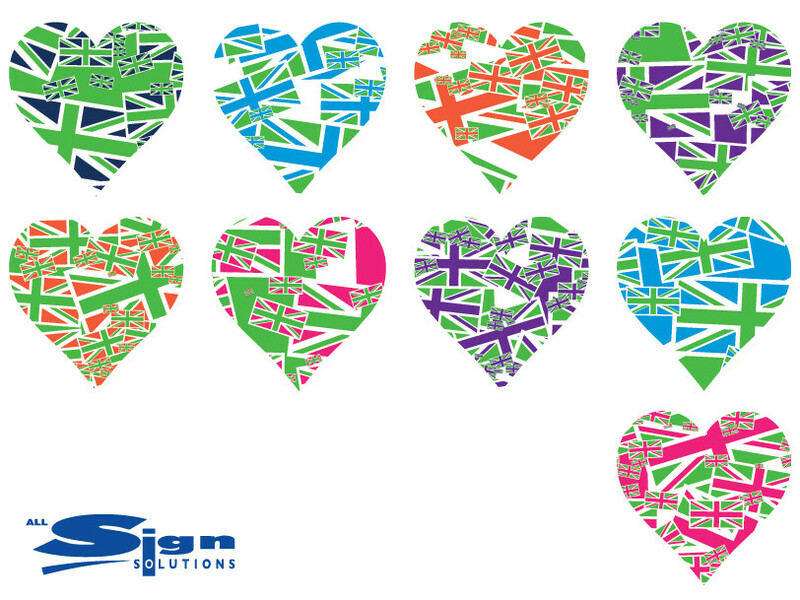 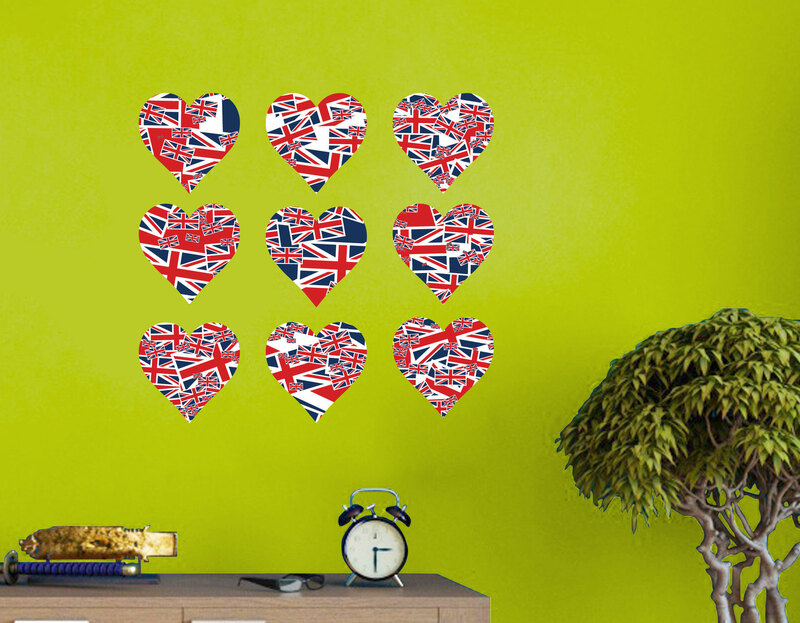 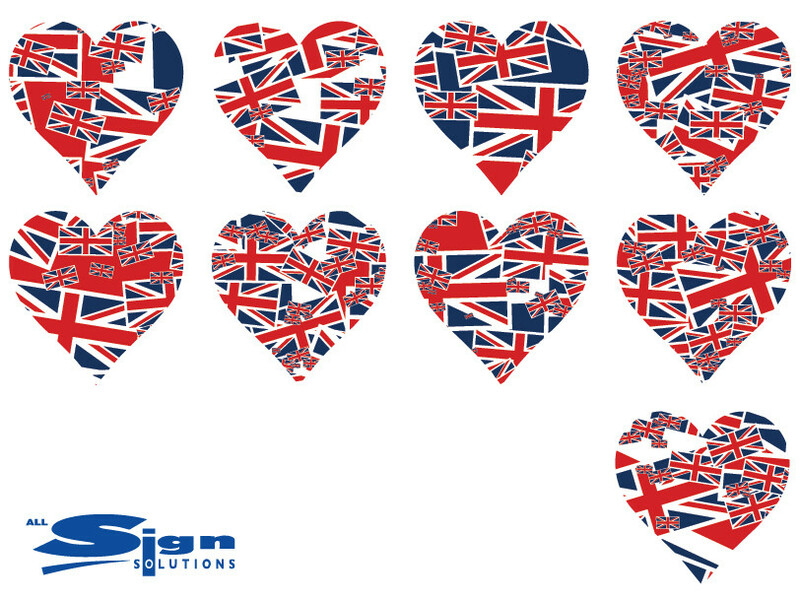 We have a collection of British sticker Love Heart shaped that use the UK flag as a contemporary collage take on the Union Jack. 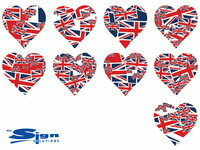 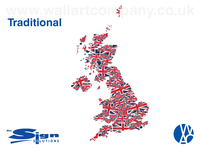 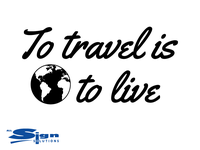 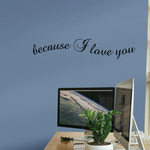 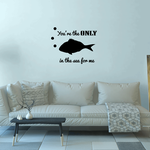 These printed vinyl stickers are ideal for any Union Jack, travel or map themed rooms. 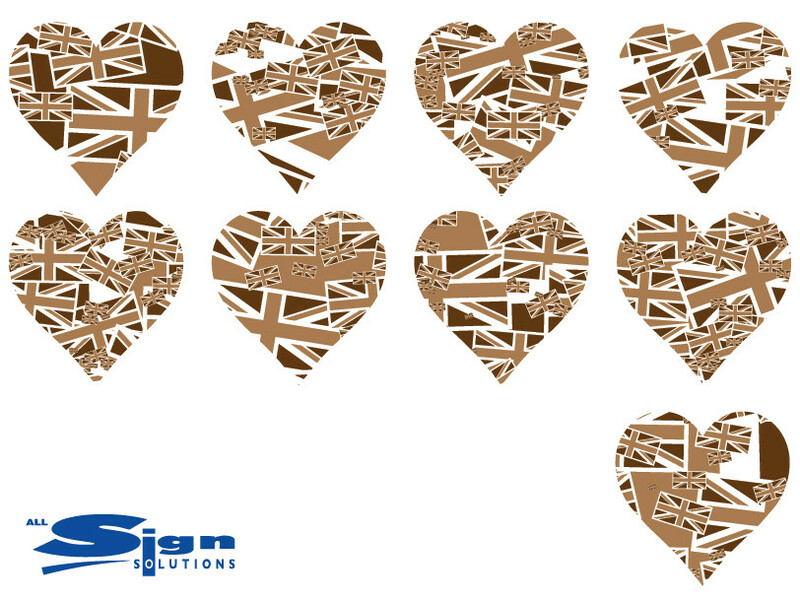 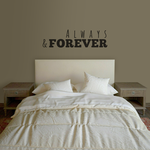 There is a wide selection of colours that will fit in with your home decorating from the muted grey and brown selection to the vibrant mixed non-traditional contemporary colours like pink, green and light blue. 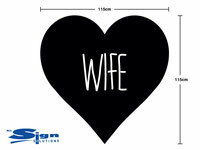 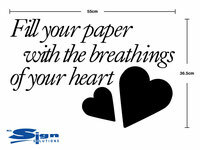 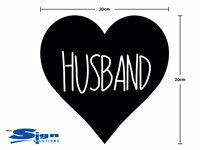 We currently offer two sizes which will fit onto school books to cover and decorate them. 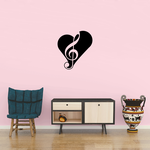 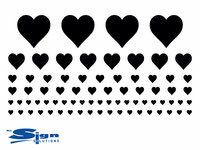 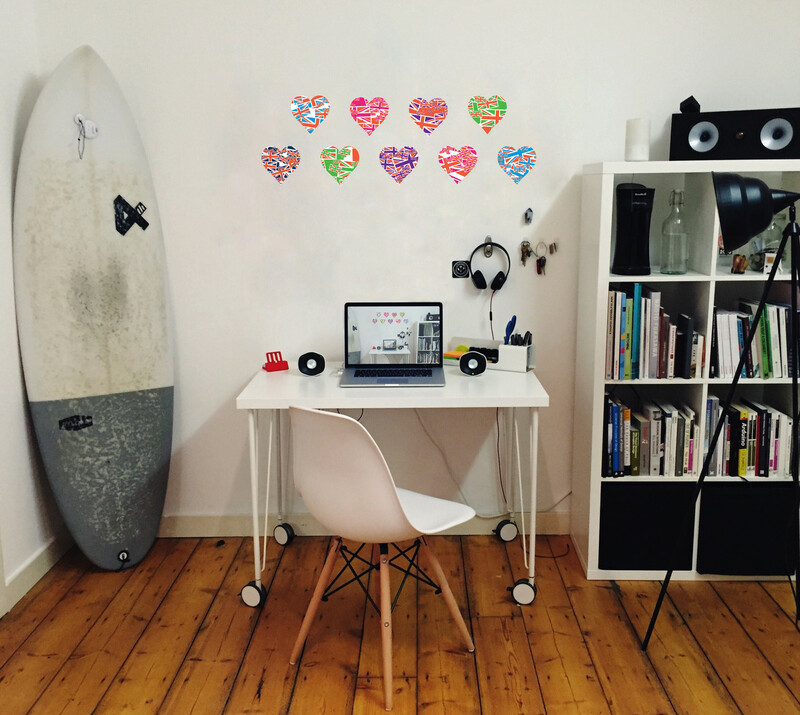 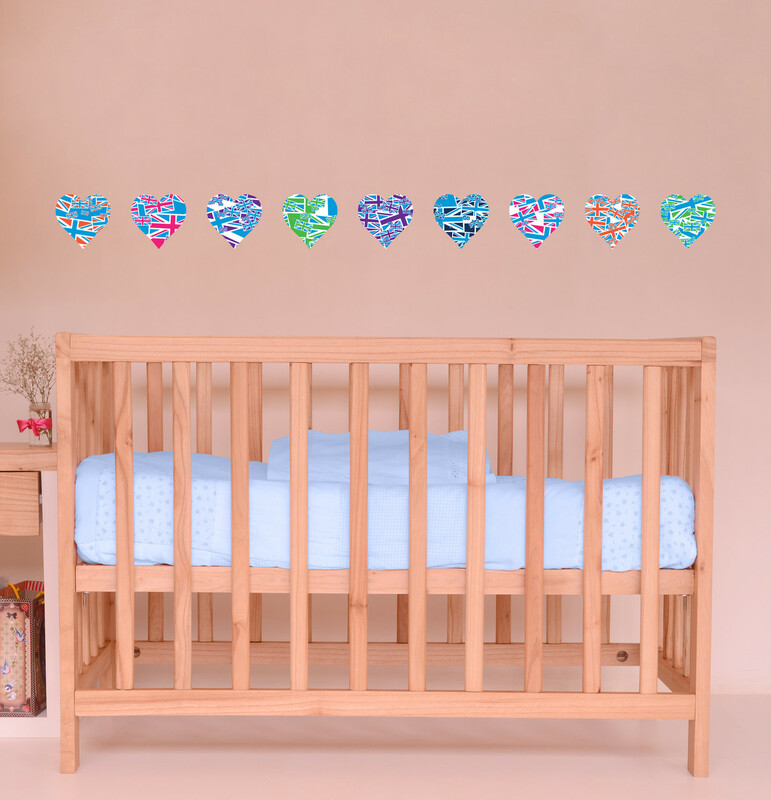 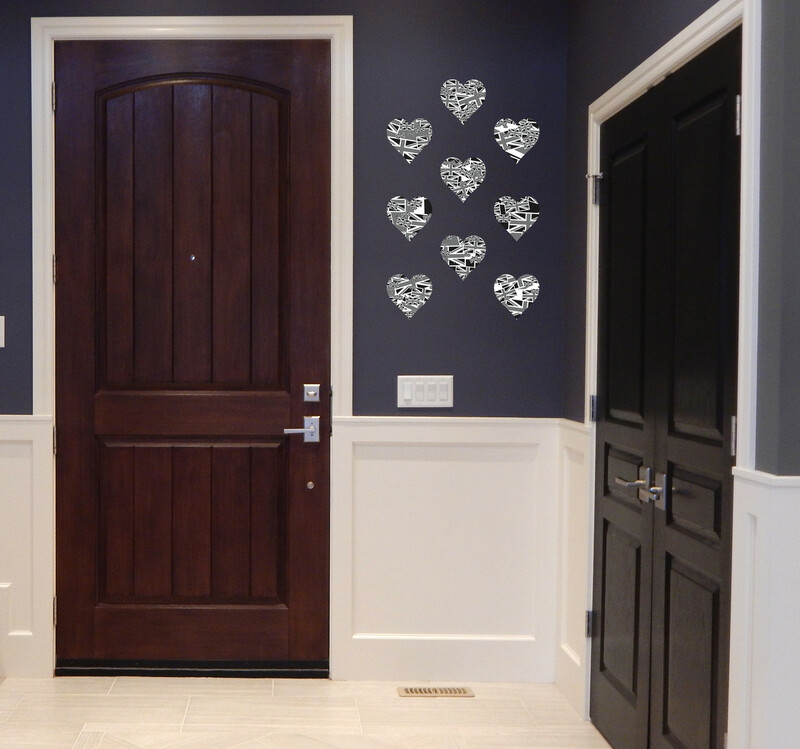 You can arrange the hearts in a neat three by three pattern or be creative and dot them around the room.